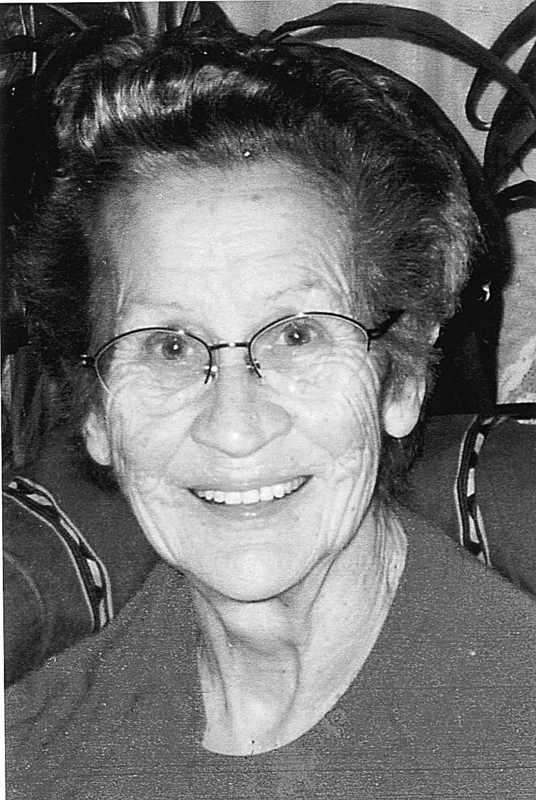 Mary Ann Carr Holder passed away peacefully Monday Aug. 27, 2012, at her home in Libby. Mary was born Feb. 16, 1926, in Rexford to Patrick Carr and Hazel (Caldwell) Carr and spent her childhood in the Eureka/Pinkham area. Mary married Elliott Holder Jan. 26, 1941. They shared 56 years together, camping, bowling, traveling and raising four boys. Mary was a long standing member of the Eastern Star. She was Worthy Grand Matron with the Eureka Chapter. She enjoyed crocheting and aertex and also tried her hand at oil painting. She opened her coffee shop in Libby with no price over a dime for coffee. She enjoyed her home and garden, but most of all her sons and many grandchildren. Mary was preceded in death by her husband, Elliott; son, Walter William; two infant sons; grandson Elliott James; brothers Joe and Hank Carr; sisters Olive Hughes and Clara McNeely and daughter-in-law Lois Holder. Mary is survived by her loving sons, James of Libby; Tim and wife Kathy of Raton, N.M.; John and wife Michelle of Brawley, Calif.; daughter-in-law Linda Burk of Fallbrook, Calif.; brothers George and wife Nadine Carr of Canyon City, Ore.; and Harry and wife Shirley Long of Idaho; sisters Norma Fleming of Idaho and Jane Newton of Oregon. She will be missed dearly by her 25 grandchildren, 45 great-grandchildren and 24 great-great-grandchildren. Graveside services will be held at the Tobacco Valley Cemetery in Eureka on Friday, Aug. 31, 2012, at 10 a.m. with a luncheon to follow at the First Baptist Church in Eureka. In lieu of flowers, donations may be made to Saint John’s Hospice, 350 Louisiana Ave, Libby, MT 59923. Arrangements are by Schnackenberg & Nelson Funeral Homes of Eureka and Libby.